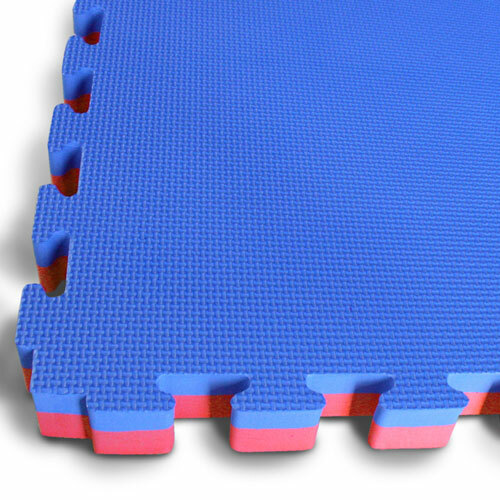 These Blue & Red 40mm EVA Interlocking Jigsaw Mats are suitable for a variety activities including martial arts such as Judo, Jiu Jitsu and Aikido. Constant training can often lead to injury if adequate padding is not available during impact. Also other aspects of training like jumping and rolling require more protection. Therefore, the thicker the mat the better the protection. 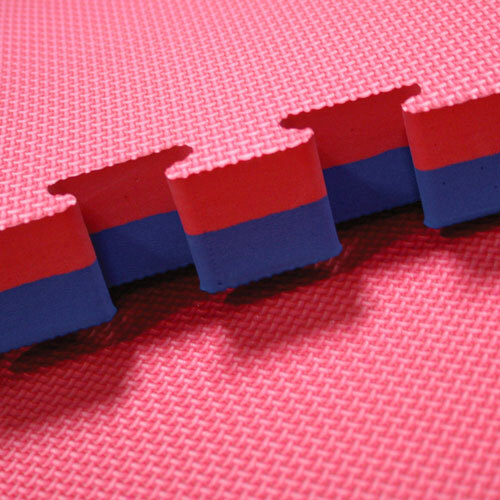 Our Interlocking eva mats 40mm EVA jigsaw gym mats are easy to lay, are lightweight, easy to carry and durable. 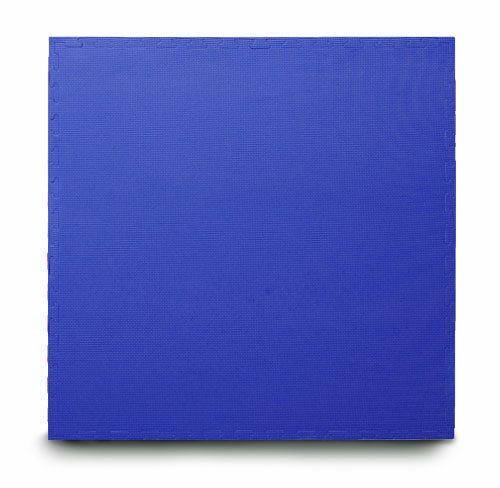 They offer a permanent or temporary cushioned floor solution for comfort and added safety. They are also increasingly popular for home gyms and children’s play areas.